Personnage - Bounty Hunter. Points: 11/14. Santé: 10. 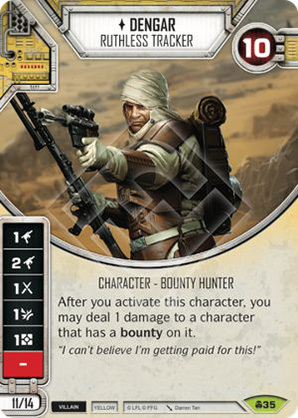 After you activate this character, you may deal 1 damage to a character that has a bounty on it. "I can't believe I'm getting paid for this!